The aglaonema is a highly decorative plant with several interesting varieties. There seems to be a little controversy in the books over whether this plant is easy or difficult to grow. The simple rule to follow is this: the lighter the variegation, the more light it needs. Otherwise, these are slow growing, dependably attractive and make excellent foliage plants. They have large, narrow oval leaves on short stems. Light: The darker green varieties can grow in near shade, while the variegated varieties require brighter light. Do not expose to direct sun. Water: Water thoroughly in the summer, and mist often to raise humidity. During the winter, reduce watering but do not let the plant dry completely. Seek to raise humidity in general. Temperature: They do not like cold drafts or temperatures below 65ºF. The warmer, the better. Soil: A well-drained potting soil is perfect. Fertilizer: Slow-release pellets or liquid fertilizer during the growing season. Propagation: Aglaonema are not typically propagated by home growers, but they can be divided during repotting. Small shoots can be potted as individual plants. Repotting: They are slow growing and will only need repotting every other year. Aglaonema are generally low-growing plants that will only very gradually reveal their trunks. 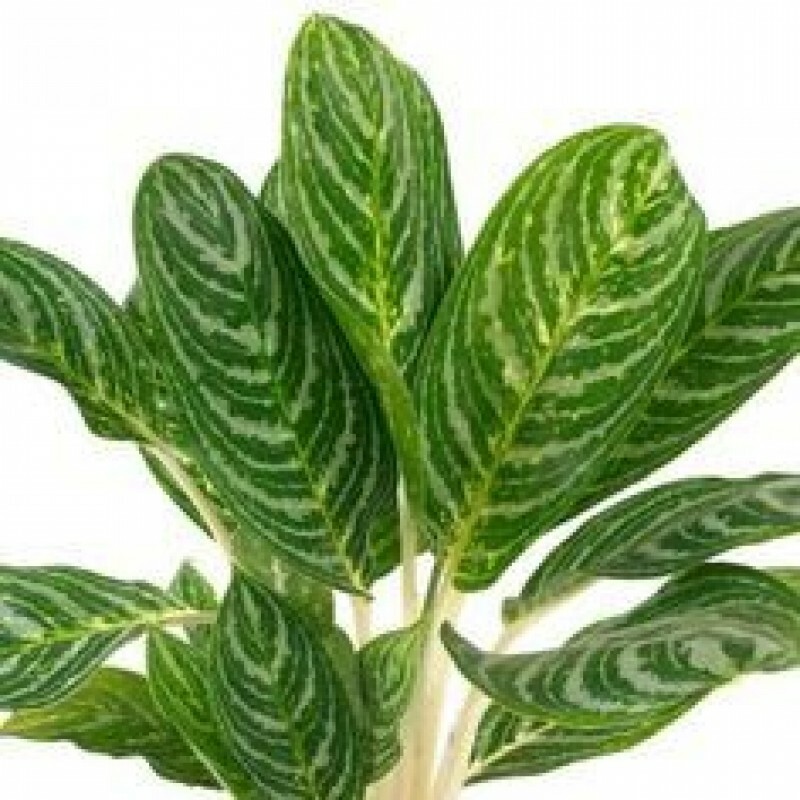 Aglaonema have been hybridized to produce interesting variegated leaves. The A. commutatum in widely available, in both the Silver Spear (variegated) form and a green form. A pure green A. modestum is seen more rarely. Beware the fruit of the A. crispum, which are toxic. Other variegated forms include A. pictum, A. silver queen (almost totally silver), and A. pseudobracteatum. Because of their high humidity requirements, some growers consider aglaonema to be greenhouse plants. It's true they will do best in the warm, humid and bright environment of a greenhouse, but they can successfully be grown indoors by coming as close as possible to these conditions. 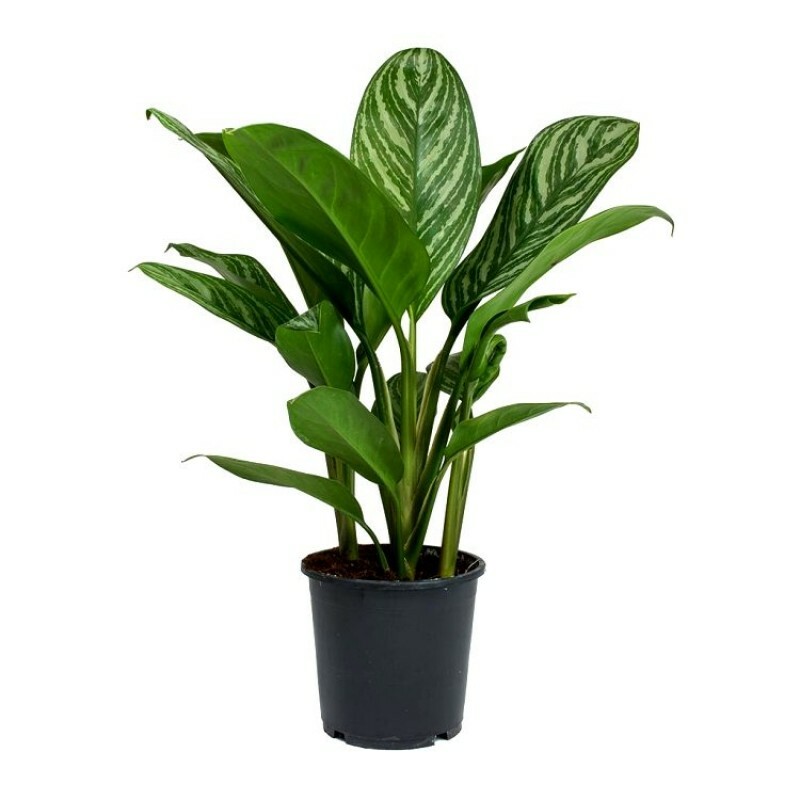 The number one rule to remember with aglaonema is this: keep them warm and moist. If you do this, you'll be rewarded with a long-lasting, stable houseplant that will not soon outgrow its pot.